CLOTH GARDEN - : Learning from others - Interviews on the world wide web. Learning from others - Interviews on the world wide web. Though I promise myself I rarely get to galleries but I do make up for it by subscribing to a number of e-newsletters and blogs which range over food, architecture, gardens and of course textiles. I don’t always read them in depth – they are a bit like the magazines in doctors waiting rooms – I skim through them and read if something catches my eye. This week I stopped and read an interview with Isobel Currie published by www.textile.org. 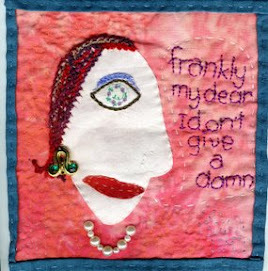 Isobel is a three-dimensional embroidery artist who hails from the UK. 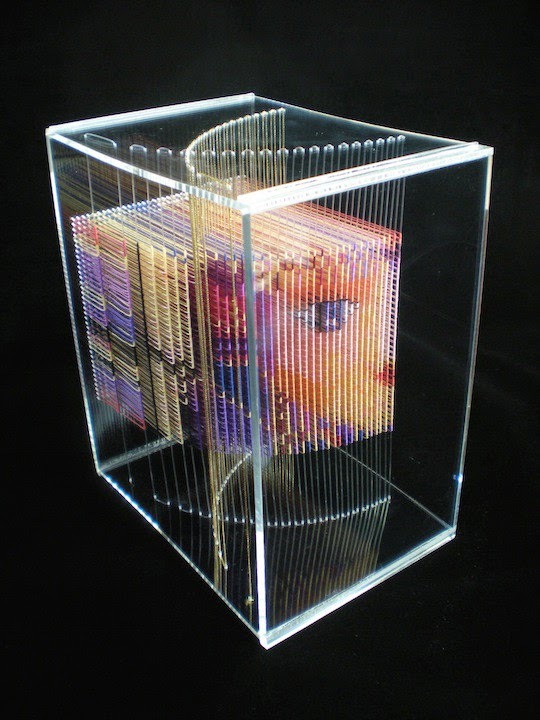 Isobel sees and uses the form of the stitch over 3 dimensions; she works on and in a Perspex ground. Her work is really interesting. Read the interview and see more photos here. I am interested in process and how and where artists get their inspiration and arrive at their design. Isobel talks a little about this in her interview - as well as resources that are important to her. Most importantly - the interview led me to more images of Isobel's work. Click here to visit Isobel's web site and take virtual visit to a gallery.